HISTORY OF THE WESTERN INSURRECTION IN WESTERN PENNSYLVANIA,; commonly called the Whiskey Insurrection. 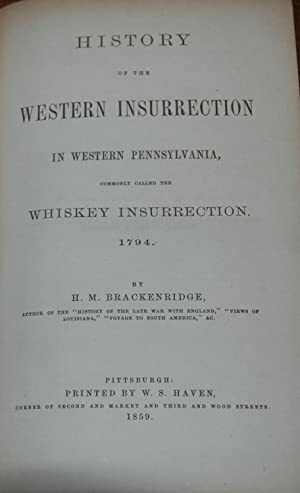 1794 by BRACKENRIDGE, Henry M.: W. S. Haven, Pittsburgh First edn. - Second Life Books, Inc.